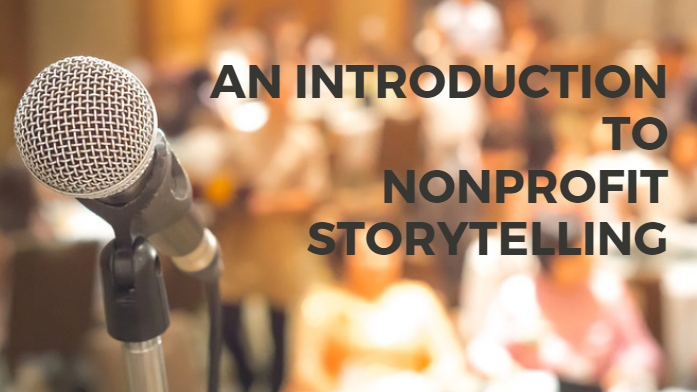 This is a guest blog post by Vanessa Chase Lockshin, founder of The Storytelling Non-Profit. What's happened when you've read or watched a story that engaged you? Chances are you're still probably thinking about it. It was that memorable. One of the first nonprofit stories that I remember was a thank you video from the Ride to Conquer Cancer British Columbia Cancer Foundation. In fact, I still remember the two people who spoke that moved me to tears. It was that good! Storytelling is a tool nonprofits can use in a variety of ways including to improve fundraising and communications, create immersive website experiences, or engaging social media relationships. My basic definition of storytelling is this — a story is a series of facts told with emotions and details. I often see organizations tell stories that really grasp the facts part of the definition. The stories give us a play by play of what happened. But without the emotions and details, it becomes more like a timeline than a story. The emotions and details are what bring that story to life. The other reason why the details and emotions of the story matter so much is because they give rise to empathy. Empathy is what storytelling is really about. Empathy is feeling with, as opposed to feeling for, which is sympathy. I think about empathy as the point the where the story is resonating on a deep level. Someone can relate to that story through life experience, emotional experience, or something else. No matter what that point of relatability is, it makes the story memorable. If you watched the video linked above, you’ll see that people talk about their relationships to cancer and it provides viewers with many entry points into the conversation. If you’d like to read more about empathy and storytelling, you might enjoy this resource: What's The Point of Telling a Story Anyway? To tell memorable and engaging stories, there are three things your organization needs to think about. I always tell my clients and students, never tell a story just for the sake of telling a story. That's a sure fire way to be ineffective. Instead, see storytelling as a tactic for achieving a goal. For example, I was once working with a client who was very sure that they needed to embark on a storytelling campaign. I asked them what they meant by this and they said that a storytelling campaign would help them raise more money. I suggested that if their real goal was to raise money, they should focus on that as the goal and not the other way around. Here are a A few examples of goals. Any goal where the right message and content might make a difference is an opportunity for storytelling. Once you know your goal, it's time to define your audience as a specifically as possible. Who is it you are trying to reach? What are the demographics and psychographics of the audience? Knowing this information will help you determine, with greater certainty, what will truly resonate with your audience. If you are not sure who your audience is, start by getting to know those who currently follow or support your nonprofit. They are your natural audience and getting to know them will give you clues about who else to connect with. 3) What Is the Message? The final choice that will influence what story you choose to tell is the message you want to get across. A message is that one key point that you want people to remember and (potentially) respond to. In instances where there is a call to action involved, I identify the message by thinking about the reason why someone would answer the call to action. Going back to the Ride to Conquer Cancer video, their message is one of thanks and gratitude to the riders and people who donated. But really, it’s a message that anyone can make a different. By making these three decisions first, you'll be able to tell a story strategically and purposefully. When it comes to selecting the specific story you want to tell, come back to these first three decisions you made. Which story will help you best communicate your message? Which story will resonate with your audience? If you have more than one story, you might also want to consider the medium that you'll be using to tell the story. For instance, if you want to turn the story into a video for your website, is the person willing to be interviewed on camera? There are a lot of opportunities for storytelling. In the video I shared, the stories are told by event participants and volunteers. You can also tell stories about donors, clients, program participants, your ED or founder, board members, and activists. In addition to thinking about the characters in the story, you can also think about telling these stories: your founding story, your vision story, your movement story, and your impact story. Storytelling, like most endeavors in the nonprofit sector, is really about making a series of decisions. Part of the success is starting with the right questions. I hope these tips will set you up for storytelling success. If your organization needs storytelling help, I’d be happy to support you. I’ve worked with dozens of organizations and trained over 9,000 nonprofit professionals since 2012. The best way to connect with me is to send me a message on my website. Vanessa Chase Lockshin is an international nonprofit consultant, thought leader, speaker, and author of The Storytelling Non-Profit: A practical guide to telling stories that raise money and awareness. She’s part of the next generation of professionals bringing change to the nonprofit sector and challenging conventions.